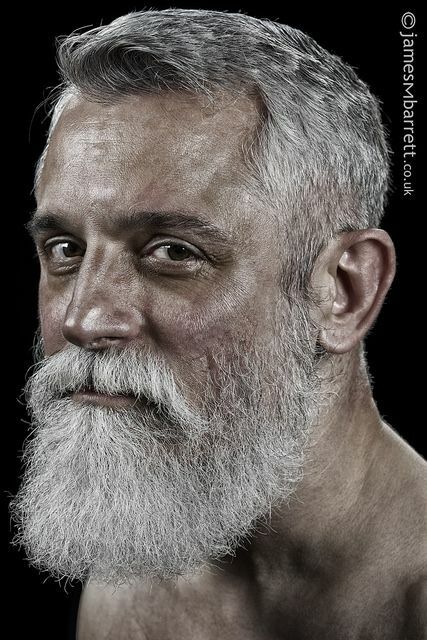 When men turn to 60 years old or older, the hair usually changes. The changes may relate to hair color, hair texture, etc. It makes them difficult to find the ideal hairstyle. If you are also over 60, you will also feel the same. 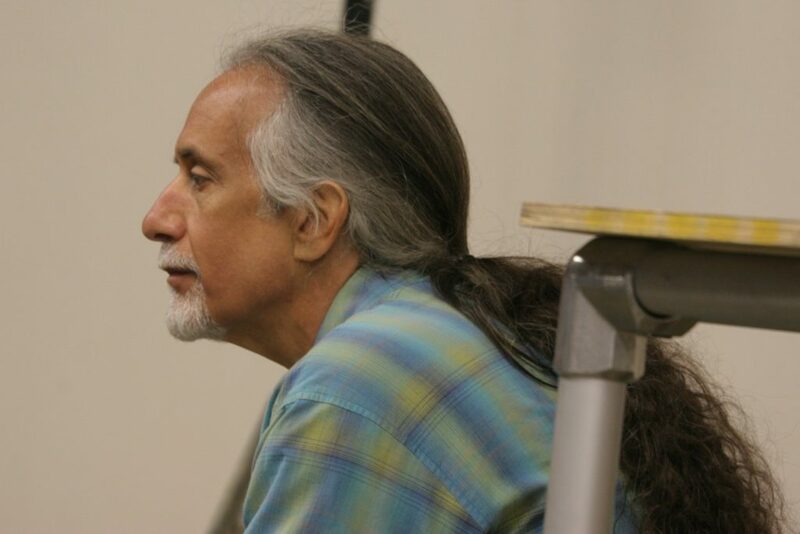 Actually, there are so many ideas of hairstyles for men over 60 that can be worn. However, you have to choose it wisely. If you choose it carelessly, you will look even older. When you get older, your white hair will usually look thinner. It does not matter if you want to keep your top hair longer. It will work very well with front strands longer than the back. You should also direct away your hair from the face. For the sides, it will be better to be chopped shorter. It will also be a good idea to grow your Beard and it will blends everything well. If your hair turns white or gray, it will be wiry. It makes your hair difficult to handle but it creates texture in straight hair. In this case, how to style thinning hair is very easy. You have to keep your hair short but let the top grow a little bit longer. This two-toned hairstyle looks very good with dark hair at top and gray or white at sides. 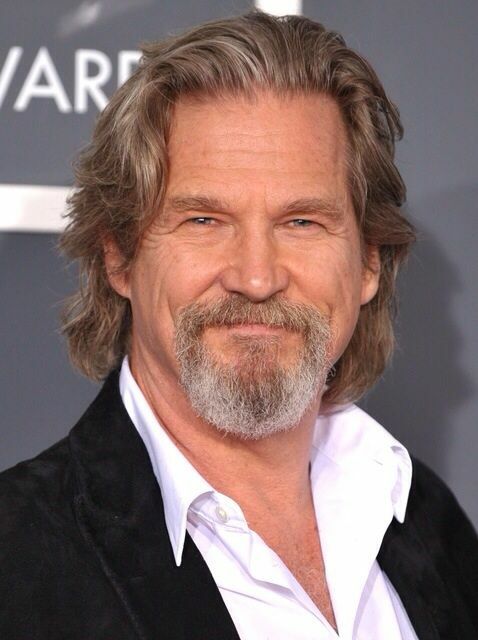 It also belongs to the top hairstyles for men over 60. This hairstyle is appropriate for you who often spend much time at outdoor. With this hairstyle, you do not worry that your hair is blown by the wind. If you are interested in this hairstyle, you have to cut your hair at an inch long at both top and sides. Do not forget to shape it to complement the face. To create easygoing look, you should only keep the messy texture. You can maintain spikiness by spraying salt water and applying gel. 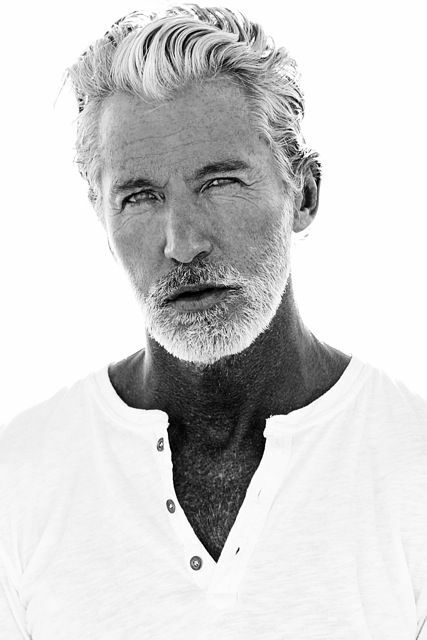 With your thinner hair, you can still look cool even at older age. It can be considered as one of the most recommended older mens hairstyles thinning hair. You have to keep the hair healthy first. Then, you must cut it to create volume. Because your hair is at medium length, it will be better for you to shave your Beard shorter if you have beard. 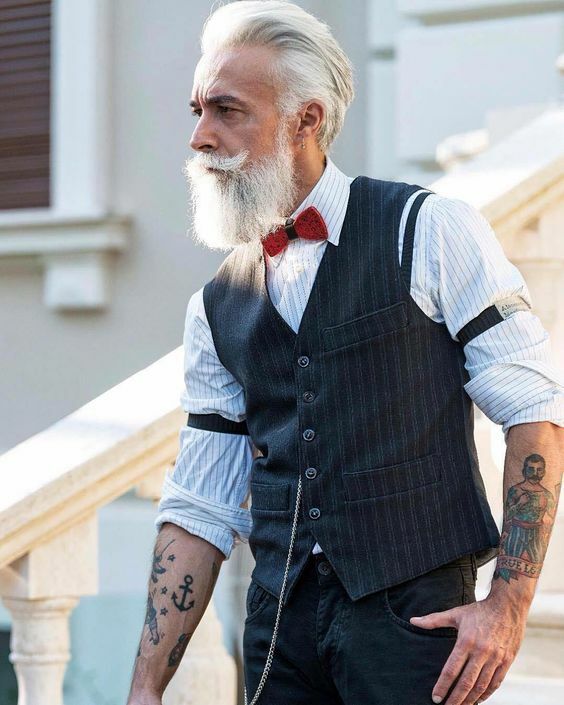 Older men should look elegant. Nowadays, pompadour is very popular in hairstyles for men. You can also follow this classic style. If you want to wear this pompadour hairstyle, you have to keep it neat. Besides that, you also should limit undercutting. Anyway, this hairstyle really looks cool. 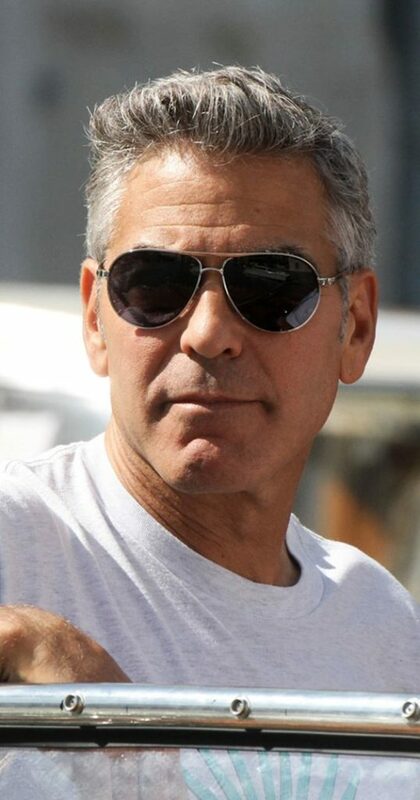 That is why it is considered as one of the best hairstyles for men over 60. Ponytail is a very popular hairstyle. However, it is usually worn by women. But it does not mean that men, especially older men, cannot wear this hairstyle. If you have long hair, you can try this long ponytail. You just need to pull your hair back into this rugged ponytail. This is a classic hairstyle for old guys. However, it never goes out of styles. Anyway, this belongs to one of the most recommended haircuts for men over 60. Your hair will usually fall differently when you are older than 60. It may turn into gray. With this condition, it will be a good idea to add texture. What you need to do is to grow your hair to your neck nape. Besides that, you also need to flip away the front hair from the face. With this hairstyle, you will look like a genius philosopher. This hairstyle will also keep your authority and power. Spike is one of the coolest hairstyles. You may think that it only works on younger men. However, actually it can also be worn by older men. Even more, this short spike can be considered as one of the best hairstyles for men over 60. This hairstyle is simple to follow and easy to maintain. You have to keep your hair short. Working wax to the hair ends & spiking them in various directions will also create interest. It does not need special maintenance and you can recreate this hairstyle easily. With this hairstyle, you will look much younger than you are. 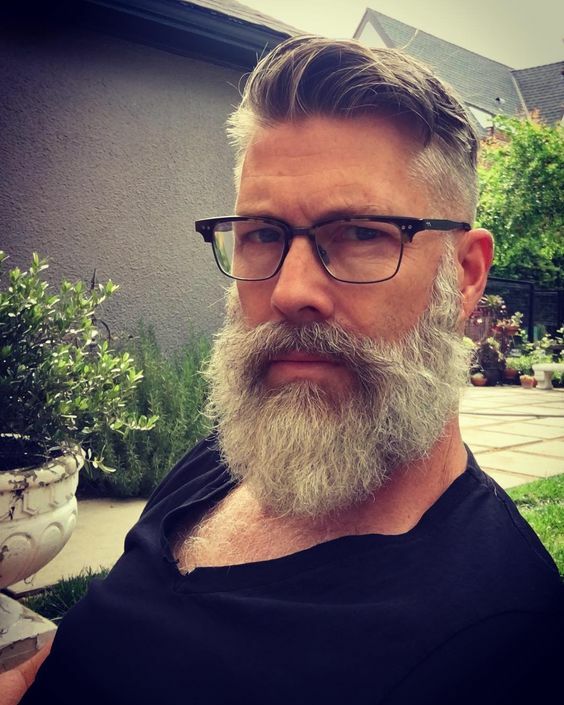 Today, we can see many older men have beard. 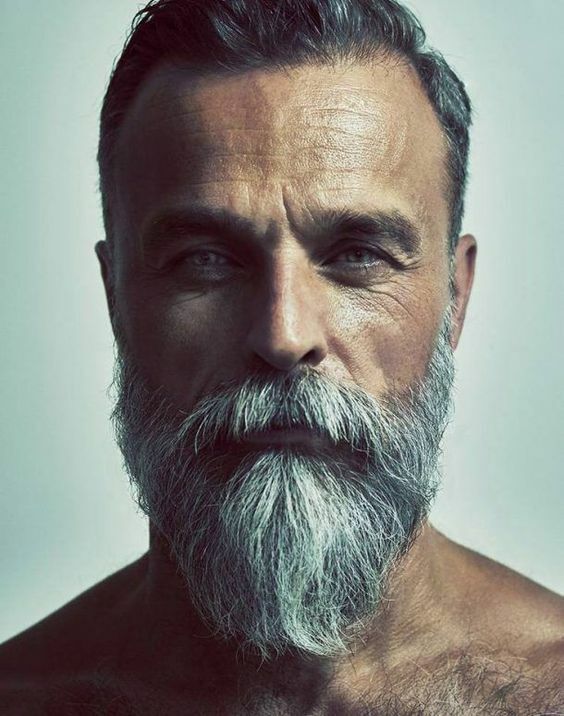 They may look cool but if you cannot care for your beard, you will look even older. It can also make you far from neat look. So, it will be better and simpler if you go with clean shaven beard. However, you may still have moustache above your lip. You can maintain the length of the moustache based on your desire but shorter is better. It will be perfect to be paired with short tousled hair like this. Do you want a traditional look hairstyle? This will be nice for older men. 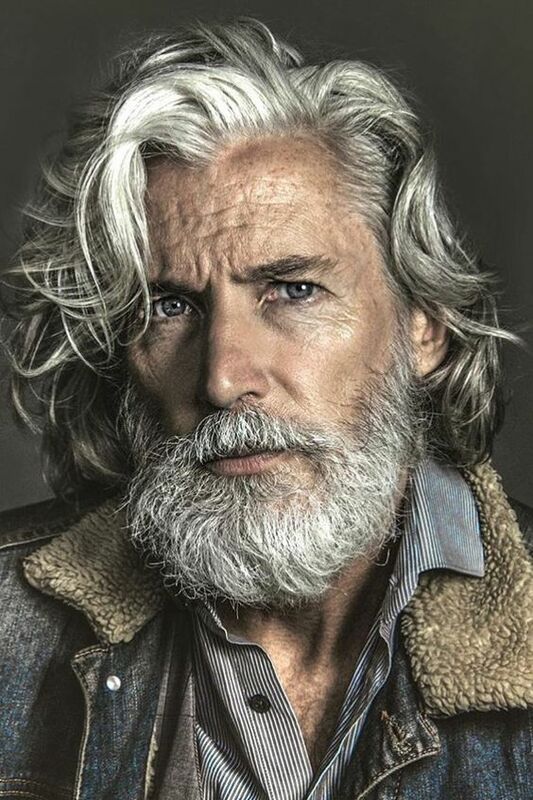 If you are looking for hairstyles for men over 60, this will be good plan. It belongs to short hairstyle so that you have to cut off your hair shorter. Besides that, you need to keep the top hair thick. For the sides, make sure that they are well balanced. If it grows, it will still be nice. 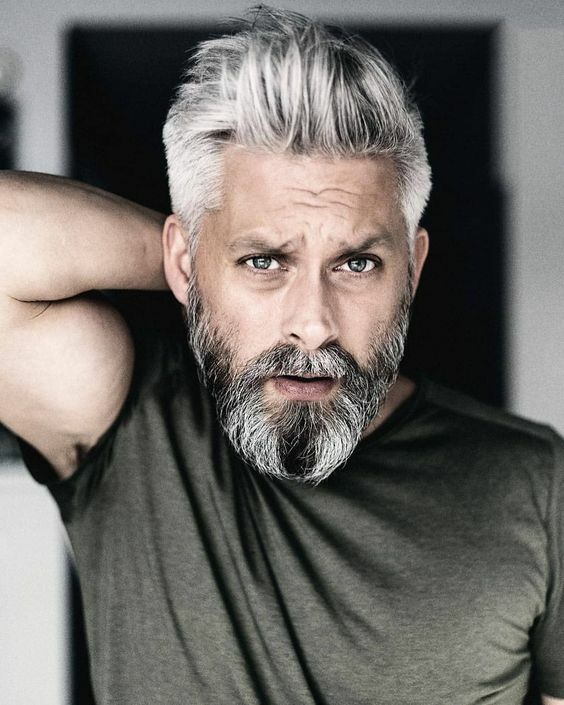 Even though your hair turns white or gray, you will still look cool with this hairstyle. Now, you can try wearing this hairstyle. Description: Hairstyles for men over 60 should be chosen rightly. There are many ideas that you can try including for thin hair.